Our state is turning a moral corner. For decades, we have lived with a costly, ineffective, and systemically racist criminal justice system. It has stubbornly continued the tactics of the “War on Drugs.” It has drained resources from our budgets every year, funding that could otherwise have gone to increasing education and opportunity. It has trapped whole communities in destructive cycles of incarceration and crime. But the last year saw advocates, community leaders, and their allies in the Legislature make unprecedented headway on comprehensive criminal justice reform. Together, we pressed legislative leaders and the governor to stop waiting to fulfill their promises and pass real reform legislation. After an incomplete Council of State Governments report – that pointed to needed, but “back end” only reforms – we fought hard to keep sentencing reform on Beacon Hill’s agenda and ensure that any legislation encompassed the whole criminal justice system, from start to finish. Hundreds of people turned out to push for comprehensive reform, by their phone calls, letters, emails, rallies, speeches, hearings, and one-on-one meetings. Poll after poll showed that we were making headway with the public, as a wide majority of Bay Staters supported key reforms. We got two different bills through the Senate and House last year, but it still wasn’t clear whether the final legislation would include crucial and deeply necessary reform. Until now. Last week, I was proud to stand with my colleagues and advocates as the Legislature’s conference committee released the finalized version of the criminal justice package that includes a comprehensive array of reforms that will fix issues throughout the criminal justice pipeline. This bill is a massive and joyful turning point for our state. It includes key reforms to institute implicit bias and de-escalation training for local law enforcement; reduce the school-to-prison pipeline; fix our broken bail system; increase diversion to drug treatment; raise the felony threshold to make sure punishment is proportional to the crime; put important limits and data collection around the use of solitary confinement; significantly reform the CORI system to better support re-entry; reduce fines and fees on ex-offenders that tend to criminalize poverty and pull people back into incarceration; and repeal some of the ineffective and racist “mandatory minimums” for nonviolent drug offenses. These reforms will finally start to honor the needs of communities that experience the most crime and are too often ignored. As Massachusetts increased the proportion of our people that we have locked up four fold over the past few decades, these communities are the ones that have born the damage as they were pulled into generational cycles of crime and poverty. This bill includes serious evidence-based reforms that will make our criminal justice system—from start to finish—more effective. And it will put our state on a path to right a moral wrong, and truly live up to the values we hold dear. There is, of course, more to do to fully reform the criminal justice system, and we will keep fighting to build on this progress. But this is a moment to celebrate our substantive victory for justice. The people of the Commonwealth owe a debt of gratitude not only to Sen. William Brownsberger and Rep. Claire Cronin, who co-chaired the committee that worked on this bill, but also, and especially, to the thousands of advocates who’ve worked hard for these reforms. It has been my distinct honor to work with all of you to fight for true justice in our Commonwealth. I’m inspired to see the outstanding victories that we can win together. 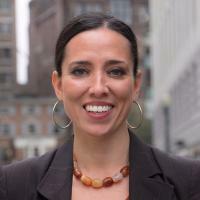 Sonia Chang-Diaz represents the Second Suffolk District in the Massachusetts Senate.